I love camera gear and picture taking. This is a window to my world of photography -- how I see through the lenses and what gear I use. 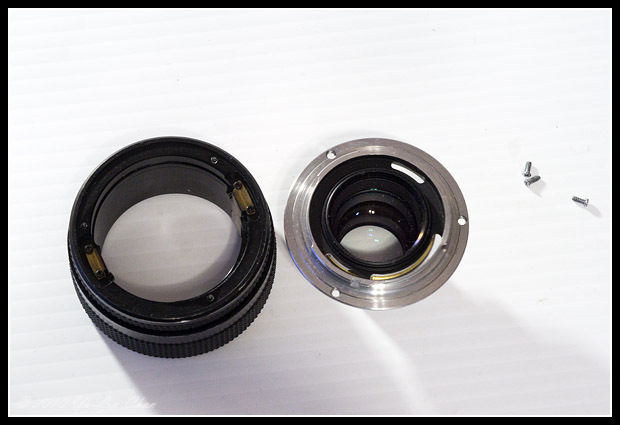 If you have been trying to make your own lens with enlarging lenses, medium format lenses, and other oddball lenses, no doubt you have encounter the problem of getting it to focus, because these lenses do not have their own focusing helicoids. For some reason, focusing helicoids are ridiculously expensive, ranging from $120 to $300 or more, and those are just generic helicoids with M42 mounts. 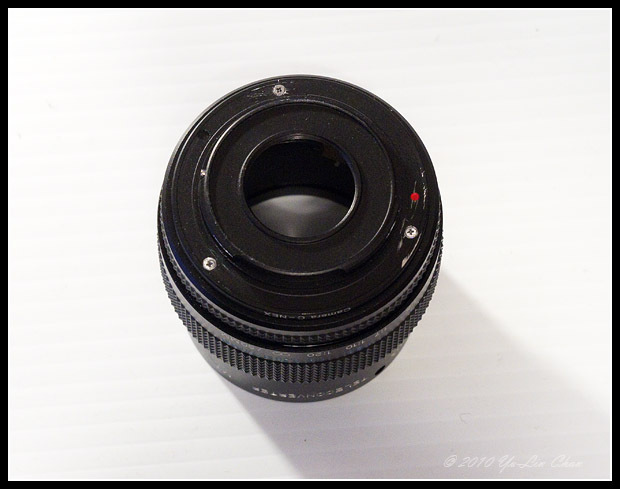 There are some M43 native mount helicoids, but are still very expensive. As of this writing, I found not NEX dedicated helicoids on the market, so I have decided to make my own. 2. Vivitar Macro Focusing Teleconverter. 3. Drill with 1/32" drill bit. 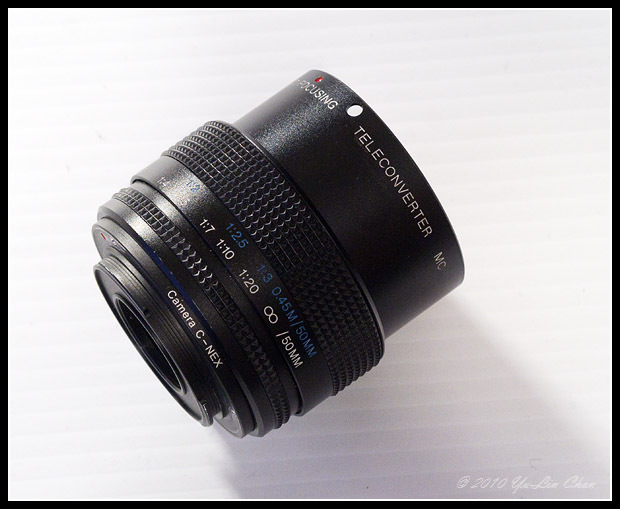 I chose the NEX to C-Mount adapter as the mount to attach to the helicoid, because it's the thinnest mount for NEX. Too thick the mount will make some lenses unable to focus to infinity. The C-Mount also is the simplest mount, making it easy to drill holes. Lift the tube and everything inside it. Remove the 3 screws on the rear mount, and lift the mount out. Drill 3 holes on the C-mount adapter. 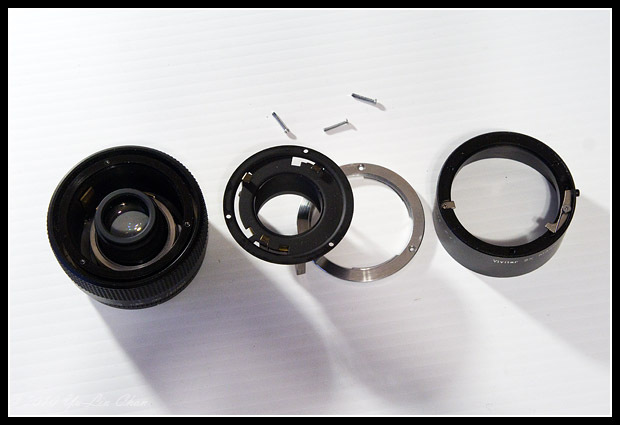 Make sure the hole positions match the screw holes already there, and then screw the C-mount adapter on the lens. Voila! Your NEX helicoid is done! 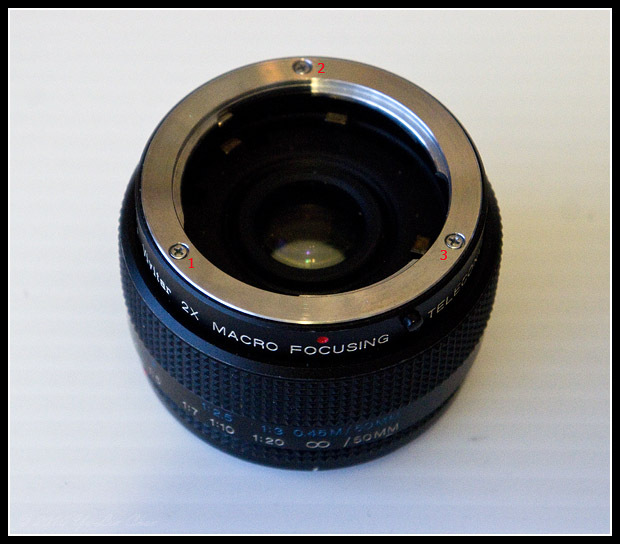 Finished NEX Focusing Helicoid. Now you will have to figure out how to attach your lens to it. 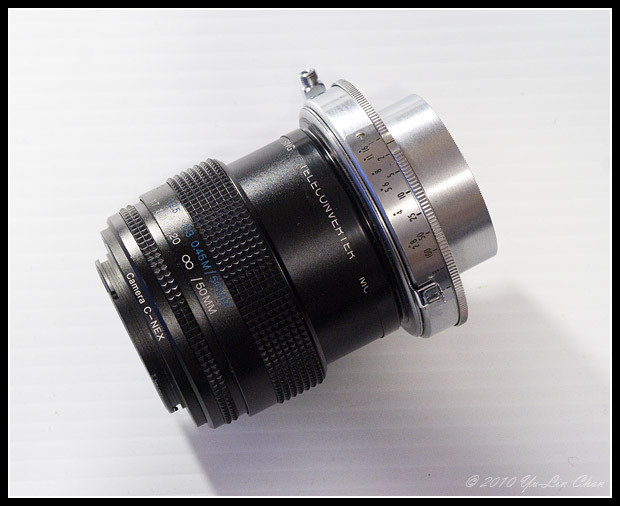 I couldn't wait to test it out, so I taped my Wollensak 75mm f1.9 lens to it, and I was able to take some pictures like that, but for more permanence, you can get a 58mm-49mm step-up ring and screw that on the front. Remember, there are three holes in the front of the helicoid. This will provide a 58mm front thread with a 49mm diameter hold to mount lenses, but 49mm is too small for the rear element of the two lenses I tried to use, so I just taped it for the time being. 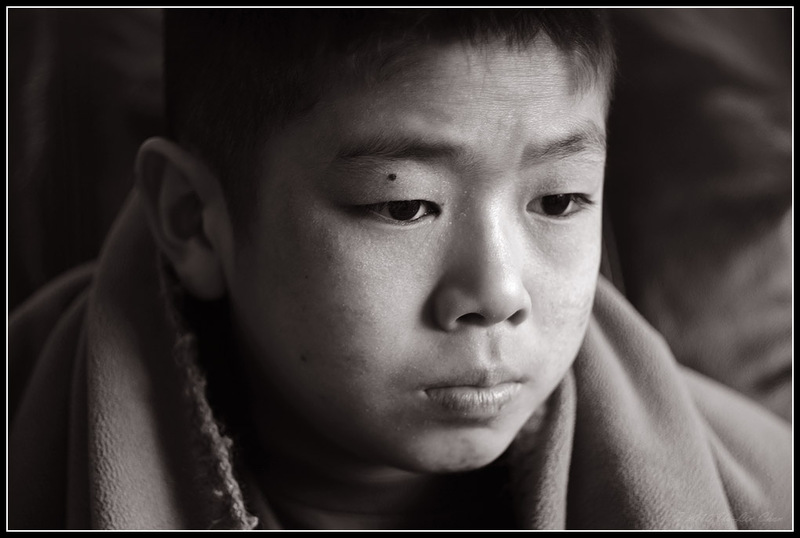 Sample Picture: Ryan -- NEX-5 Wallensak 75mm f1.9 @ f1.9.